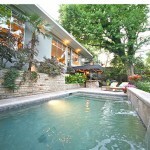 Susan Griffin Lists 5218 Morningside-Exquisite Greenland Hills Tudor. 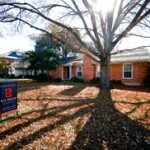 Susan Griffin has just listed an exquisite Greenland Hills Tudor professionally remodeled to perfection with a new roof. Very open floor plan with two over sized bedrooms and two baths plus a study that could be used as a third bedroom. The formal living area has numerous windows lots of natural light and is centered on a brick wood-burning fireplace. 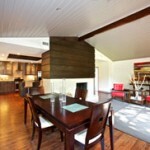 The large formal dining room is open to the living area and kitchen creating a great flow for entertaining. The kitchen features a breakfast bar counter, new stainless appliances, and a wonderful breakfast nook at the back of the kitchen with views and access to the back yard and deck. 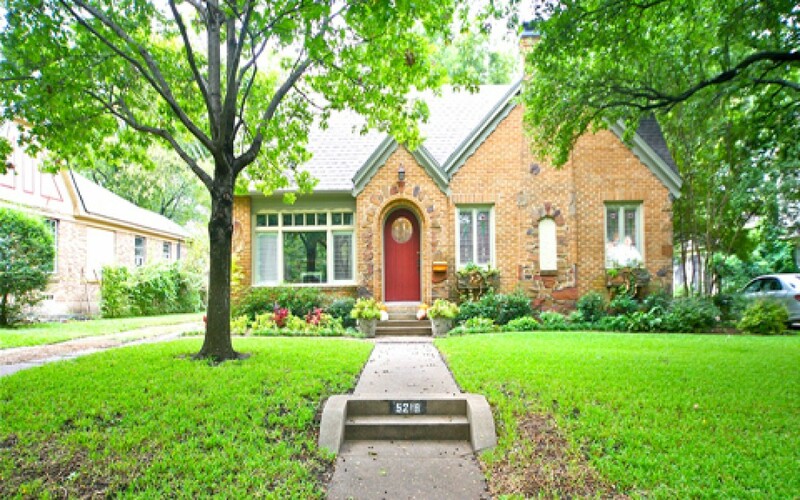 5218 Morningside is a perfect example of a Greenland Hills, more commonly known as the M-Streets, home that has maintained its original architectural elements and enduring charm even though it has been updated to reflect today’s lifestyles. Greenland Hills was a planned development in 1923 by Frank and Fletcher McNeny and reflected the influence of the automobile. Dallasites could live farther way from the center of the city and public transportation. The majority of the homes built in Greenland Hills are a variation of a Tudor style cottage with steep gable roofs, mantels, alcoves, brick veneer, leaded-glass windows, stonework, large masonry chimneys, carved columns and other scaled-down, castle-like features. The homes also had detached rear garages because cars at that time were believed to be a potential fire hazard. 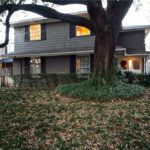 In 2003 Greenland Hills became part of a historic preservation district that will ensure that this neighborhood will keep its original charm and authenticity for years to come. 5218 Morningside features hardwood floors throughout including the bedrooms, wonderful detailed ceiling trim and baseboards with new designer paint. The master is very spacious with a lot of closet space. Master bath has dual vanities. Guest room is also a generous size and has access to hall bath. A large back yard with wood deck is off the kitchen. In the back yard is also a two car detached garage. This is one of the few homes built with all concrete piers so the floors are very level and it is structurally superior to other homes in the area. 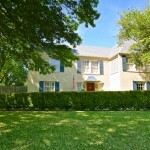 This home is located on a fabulous quiet block with easy access to 75. Updated electrical and plumbing as well as systems. In 2011 a new roof was put on.